During training, pediatricians learn the traditional definitions of malnutrition in children, which focus on nutrient scarcity. But such forms of malnutrition are rarely seen in the developed world. And they certainly don’t apply to Lucas, a now lively seven year old born with a rare genetic condition that causes gastroparesis, the inability for his stomach to empty properly. As a baby, Lucas was determined to be “failure to thrive,” more of a description than a diagnosis. In this case, it meant that Lucas was sick frequently and in and out of hospitals. It also meant a year and a half of testing — and a dozen specialists — before he was properly diagnosed. In the meantime, it was critical to get him the nutrition he needed. For Lucas, this required enteral nutrition, or tube feeding. Depending on the condition, children may require other types of clinical nutrition, some of it provided intravenously and some of it taken orally. In any situation, trying to ensure that your child has the proper nutrition in order for them to be healthy is surely a nerve-wracking experience for a parent. Pediatric malnutrition — or under nutrition — contributes to an estimated 45 percent of all children’s deaths around the world.¹ Difficulties arising from malnutrition in pediatric patients include significantly higher rates of infectious complications and lengthier hospital stays. Malnutrition also leads to lost brain development. In one study, children with three indicators of malnourishment had a 15.3-point decrease in IQ at 11 years of age.² This equates to a tremendous loss of potential in many young lives. In very real terms, we are mortgaging our future with malnourishment. Studies looking at the nutrition status of pediatric patients with chronic disease have found a high incidence of poor nutrition. It is not unusual to see malnutrition in children with conditions such as Crohn’s disease, congenital heart disease, cystic fibrosis, or, like Lucas, gastroparesis. Unfortunately, malnutrition is likely to be far more common than we realize. While it is only diagnosed in about four percent of pediatric patients, the prevalence rates reported are between 24 and 50 percent worldwide.³ This is due, in part, to the fact that, until recently, there hasn’t been a uniform way to make the diagnosis. Traditionally, the diagnosis of pediatric malnutrition focused solely on anthropometric assessment (weight, length/height, head circumference). But illness-related factors contributing to malnutrition (such as inflammation, nutrient loss, increased energy expenditure) also need to be taken into consideration. With all this in mind, in 2010, the American Society for Parenteral and Enteral Nutrition (A.S.P.E.N.) established a multidisciplinary task force to develop a new definition of pediatric malnutrition, which was finalized and approved in 2013.4 This revised definition is intended to drive early patient identification; help in the development of effective screening tools; and in determining thresholds for intervention. It can be used in a variety of settings including hospitals, clinics and schools. But it is also an extremely useful tool for parents. Certainly, from a parent’s perspective, malnutrition is a far more useful diagnosis than the vague “failure to thrive.” First and foremost, it is correctable. It is something that parents can take steps to resolve; getting their child the proper nourishment and providing them with the best chance to achieve optimal health. And, while proper nutrition didn’t solve Lucas’ underlying medical condition, it did give him a far better chance at being healthy. His parents and physicians worked tirelessly throughout his first year to help Lucas gain weight; at times feeding him nearly 24 hours a day via gastric tube. Getting proper nutrition was critical to Lucas’ growth and development – he got sick less, because he was getting the nutrients he needed. Getting the nutrition they need is important for children whether they are on a feeding tube or not. A clinical nutrition plan should be part of the care for any child with an acute or chronic illness. But physicians must properly educate parents as well. With doctors focused intently on treating the primary disease, malnourishment can go undetected, leading to longer stays in the hospital or repeated readmission. Parents recognizing the signs — and physicians intervening earlier — can mitigate a great deal of unnecessary anxiety. While malnutrition in infants and children may seem frightening, in cases where food scarcity is not the issue, it is one foe that can be addressed. 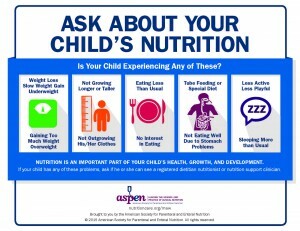 Malnutrition Awareness Week™, September 28 – October 2, is intended to do just that: raising awareness among healthcare professionals to assess and intervene earlier and educating the public to ask about their children’s nutrition status and advocate for optimal nutrition care. Nutrition is imperative to clinical outcomes. It should not be treated as an afterthought but rather a critical component of comprehensive care. When that is the case, children like Lucas are able to grow, develop and yes, thrive. 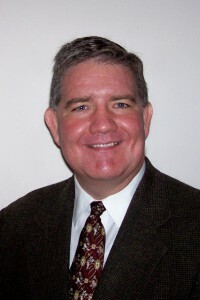 Dr. Mark Corkins, MD, CNSP, SPR, FAAP, is an Associate Professor of Pediatrics at Indiana University School of Medicine and James Witcomb Riley Hospital for Children, and is the Co-Director of Nutrition Support at Riley Hospital for Children. 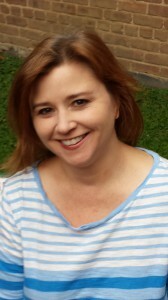 Traci Nagy is the founder of the Feeding Tube Awareness Foundation, a non-profit organization that provides education and emotional support to parents of children who have feeding tubes. 2. Liu J, Raine A, Venables PH, Dalais C, Mednick, SA. Malnutrition at age 4 years and lower cognitive ability at age 11 years. Arch Pediatr Adolesc Med. 2003;157(6):593-60. 4. Mehta NM, Corkins MR, Lyman B, et al. Defining Pediatric Malnutrition, A Paradigm Shift Toward Etiology-Related Definitions. JPEN J Parenter Enteral Nutr. 2013;37(4):460-481.